Toughts On How To Convert A Loft And Is It Practical For You? 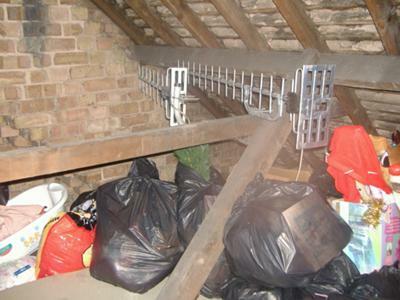 Are you wondering if you should convert your loft? Loft conversions have never been more popular and they offer a practical and cost effective way to increase the living space in most homes. Utilising the wasted space in the roof of the house makes marvellous sense for most of us and the projects are generally easy to manage, time efficient and will even boost the value of the home. When all is said and done there is very little reason for most homeowners not to convert a loft, or at least to seriously consider such a project. The alternatives to a loft conversion for adding extra living space to a family home are ground floor extensions and even digging out a basement. But both of those projects are more expensive and harder to achieve than is a loft conversion and it is little wonder that many homeowners will look to the roof when they consider where they can obtain more living space from. For most of us the attic space was only used to store items that would ‘come in useful one day’ or where the water tank was located. In the past few people considered the roof space in their homes as having any practical use apart from as a storage solution. The ventilation built into the roof space meant they were subject to freezing blasts of cold air in the winter but were unbearably hot in the summer. Added to this was the trend, from the mid-1960s, for builders to use masses of truss rafters in a very shallow roof when building new houses. For a long time houses built in such a manner were impractical and off-limits when considering whether to convert a loft or not. However, the massive rise in housing costs in the last decade or so has propelled loft conversions into the number one slot when it comes to home improvement projects. To consider a loft conversion now a manageable and economically viable option for most homeowners. When thinking about converting the loft the biggest single factor for the homeowner to take into consideration should be – ‘is it practical’? With the best will in the world if the roof space is to small or the building structurally unsuitable than a loft conversion will be impractical. Fortunately though, for most homeowners, the reverse will be true and an attic conversion will be a quite practical and financially viable project. 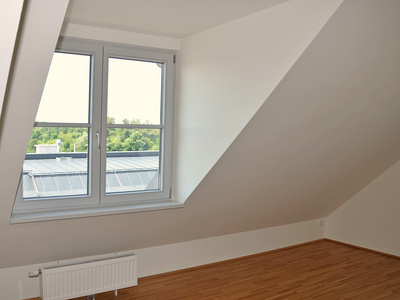 Before doing anything else or even considering how you will use the roof space it is essential that you go up into the attic and actually measure the amount of space that is available. Ideally there will be around 2.5 meters of headroom; this would be sufficient space for most of us. If however, you are of average height and find yourself bending double, than it is clear that there will not be enough room without raising the height of the attic. The pitch of the roof also has to be considered. If the pitch is too shallow than converting the loft will be almost impossible without a massive and expensive rebuild. With modern building methods and advanced engineering techniques there are very few technical problems that cannot be overcome. As with most aspects of an attic conversion, consulting an expert at this stage can potentially save lots of wasted time and expense further down the line. A brief meeting with a structural engineer should provide all the answers to any questions you may have in regard to your new project. 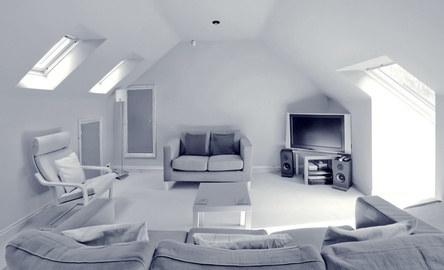 But, in general, if there is sufficient headroom in the attic than converting the loft should be perfectly achievable. If there are no major obstacles in the way than it is time to consider exactly how you will use the extra room you will create when you convert a loft space. The majority of new attic conversions in the UK are en-suite bedrooms. It is very easy to see why such conversions are so popular. The size of the bedroom can be huge and with an en-suite shower and WC the roof is really the only place in most houses that such a large room could be built. A loft living room is next on the list for most people and with large skylight windows and luxurious furniture an attic conversion can make a wonderfully relaxing living space. There are other uses for that new room in the attic and with many of us now running businesses from home an office is now a very popular option for many people when converting the loft. A teenagers chill-out room, a modellers loft or even home cinema complex are other options to consider when thinking about a design but, more-or-less, anything is really possible. The only inappropriate use for an attic conversion that I can think of is as a home gymnasium. With the heavy equipment and stress on the floor a gym would probably be better suited to a basement or garage conversion. The vast majority of loft conversions carried out in the United Kingdom involve adding an extra floor to an existing two storey house. This additional floor will, depending on the space available, house one or usually two extra rooms. Flat and bungalow conversions are possible but are carried out less often.